The world’s best treks will challenge you both mentally and physically, however, will expand your view of the world, and will feed your desire to explore the unknown and experience a spectacular journey. They are only for the most adventurous of people. Here are the 5 best. The Kilimanjaro is the highest mountain in Africa, at 5,895m. Climbing this mountain will take you through every possible ecosystem, including snowfields, glaciers, Savannah’s, deserts, a tropical jungle, and an alpine moorland. You’ll have to prepare for all these different terrains and climates but they are definitely worth all the effort. There are various routes, however, the most common are Marangu and Machame. 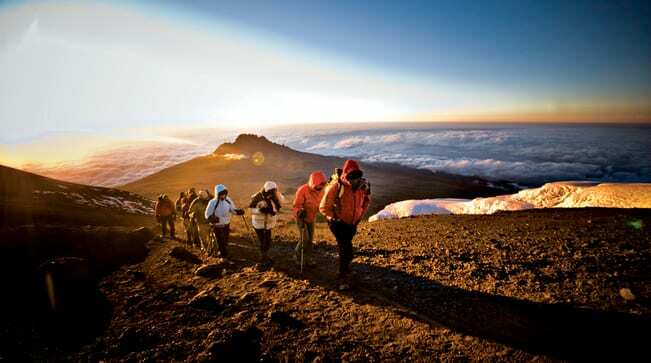 The Kilimanjaro is no walk in the park, however, beginners can handle it, provided they are in decent shape. The 34km trek takes a total of 8 days and is most recommended to be climbed between September and March. The Inca Trail is a legendary South American trek that ends up in Peru’s world-famous Machu Picchu. Most people take this trek in order to see the rocky paths, holy ancient sites and mountains. It is actually known to be the same path in which the royal Incas took to make their way through the Andean mountains. The white-tipped mountains, as well as the high clouded forest, are completely magical. The 43km trek takes 4 days and it is most recommended to go between May and September. 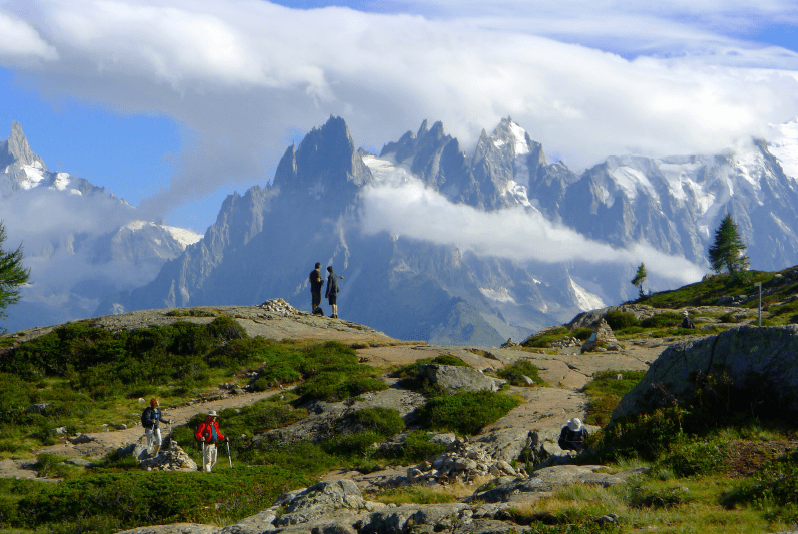 The high altitude Tour du Mont Blanc, commonly known as the TMB goes from France to Italy to Switzerland and then returns to France in order to get a glimpse at the stunning Lac Blanc. This is a challenging climb, however, provides rewarding benefits with views of tumbling valleys, glaciers, and the ultimate treasure of the trek, Mont Blanc. The 170km trek takes 8 days to complete and it is most recommended to go between June to September. 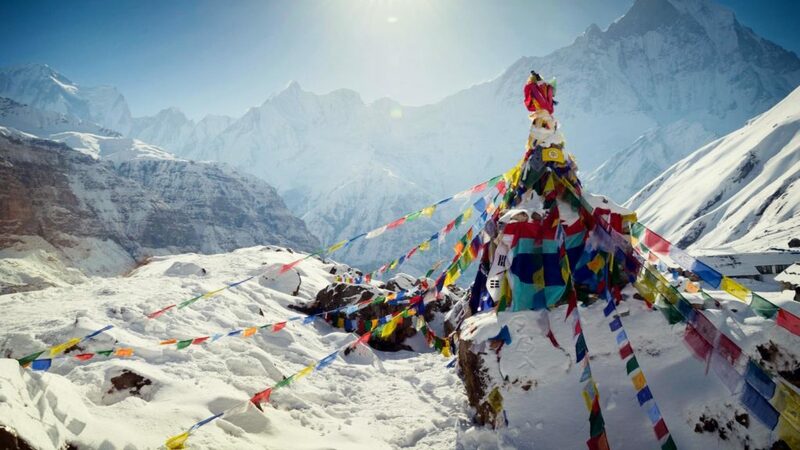 Everest Base Camp is where highest place on earth is to be found. There are several routes to climb through the Himalayas, however, this is the most commonly taken route. It is good for beginners, however still contains certain risks due to the snowy weather. Every stride in the trek makes for a unique photo opportunity with snow-covered glaciers, breath-taking forests, and Sherpa villages. You will not only feel on top of the world but literally will be too. The trek is 62 km and takes 13 days to complete. It is most recommended to go between August and November. 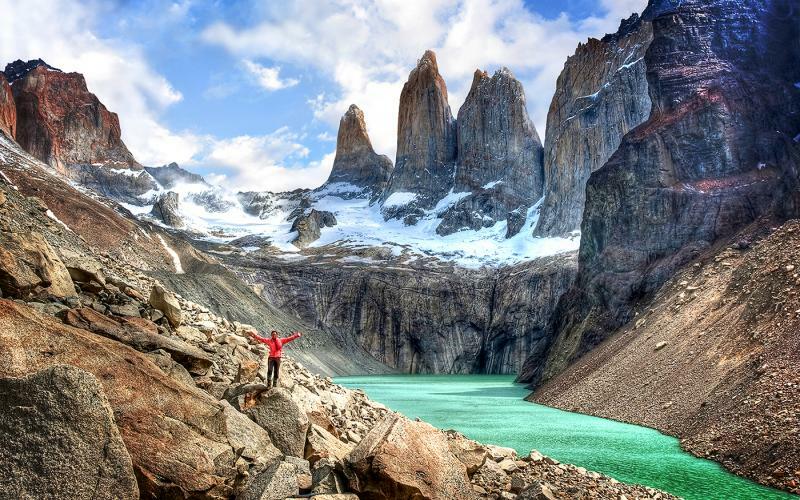 The Torres del Paine National Park is in the Patagonia region of Chile. It is famous for its blue icebergs, golden lowlands, and soaring mountains. It is also home to rare species of wildlife. The best way to go is the W Circuit, which goes through Frances Valleys, Asencio and Grey Glacier. The total distance of the trek is 133 km and takes 10 days to complete, however, there is also the W trek, a shorter 3-day trek. It is most recommended to go between December and March.